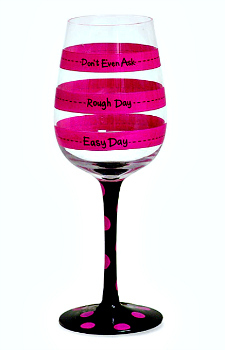 Below the Line Wine Glass by Burton & Burton. 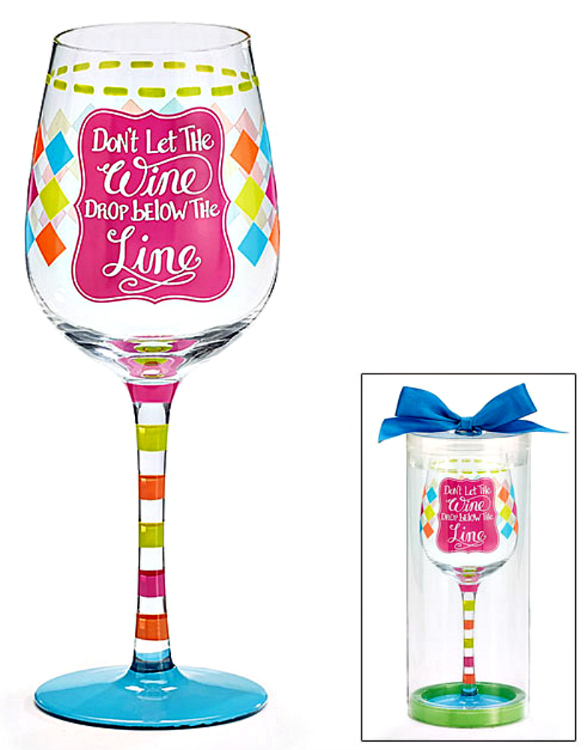 "Don't let the Wine drop Below the Line" decal wine glass with hand-painted stem. Measures 9"H with 2" Opening. Holds 12 oz. HAND WASH ONLY.